These metal cutting discs must never be used for grinding and must always be presented to the workpiece at an angle of 90 degrees. Size. 115 mm x 1.2 x 22 mm. 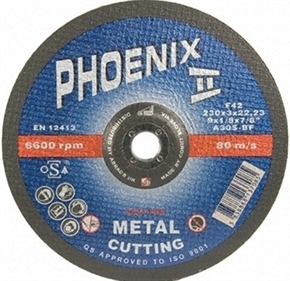 Very fast cutting, ideal for stainless steel.